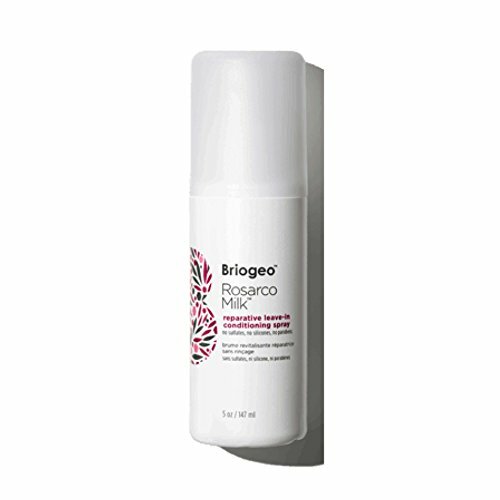 ULTRA-LIGHTWEIGHT HYDRATION FOR DRY, DAMAGED AND BRITTLE HAIR: Briogeo's Rosarco Milk Reparative Leave-In Conditioning Spray is an ultra-lightweight leave-in conditioner that effectively restores hair's softness, resilience, manageability, and moisture levels while acting as a barrier against heat. Perfect for use on wet or dry hair, this non-greasy formula seals the hair cuticle to lock in moisture, restore luster, and diminish frizz without leaving behind product buildup. INFUSED WITH A SIGNATURE BLEND OF ULTRA-NOURISHING OILS: This unique leave-in hair conditioner contains rosehip oil which provides essential fatty acids to balance hair hydration and control frizz. Argan oil offers extensive conditioning that helps combat dryness and diminishes frizz. Coconut oil penetrates the hair shaft to seal in moisture, protecting against breakage and excess heat while vitamin E softens the hair and provides essential healthy-hair nutrients. ADDITIVE AND CRUELTY-FREE: Briogeo is proud to say that our Rosarco Milk Reparative Leave-In Conditioning Spray is 96% naturally derived. Specially formulated, this leave-in hair conditioner for dry, damaged and brittle hair does not include sulfates, silicones, phthalates, parabens, DEA, or artificial dyes. It's certified gluten-free and cruelty-free so you can feel good about looking good! PERFECT FOR TREATED HAIR: The incredible ingredients in this leave-in conditioner spray make it the ideal product for nourishing and maintaining treated hair. Whether you routinely color your hair or use a keratin or chemical treatment, the unique blend of vitamins and oils will help keep your hair looking and feeling its best! 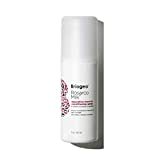 ABOUT BRIOGEO: Beautiful hair shouldn't be compromised by harsh or harmful ingredients. Briogeo offers a high-performance hair care collection that is naturally based, yet performance driven to provide visible results. All Briogeo formulas live up to their performance claims - providing the vibrant, beautiful and healthy hair we constantly strive to achieve.